Airbus WorldDEM4Ortho, the most consistent and accurate satellite-based elevation model on a global scale, is now available in ArcGIS Living Atlas of the World global elevation data. 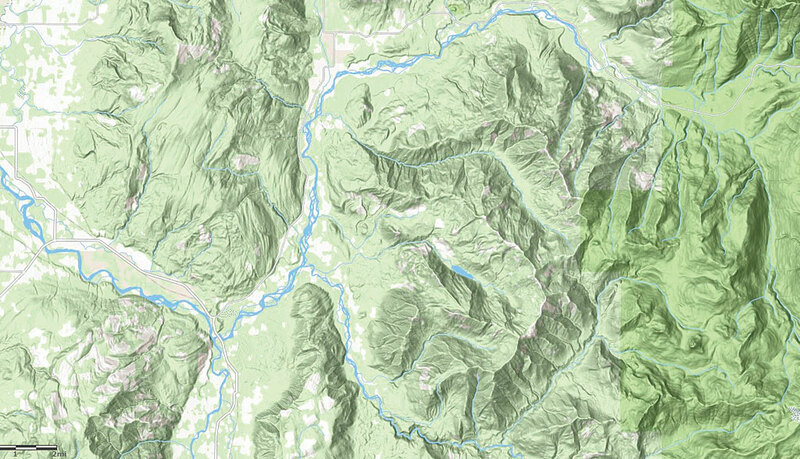 Now available in ArcGIS Living Atlas of the World, global elevation data from Airbus Defence and Space is further enhancing Esri elevation layers and tools, such as Profile, Viewshed, and Summarize Elevation. The world elevation image services (Terrain and TopoBathy) are a collection of multi-resolution and multisource elevation data that can be used for visualization, such as multi-directional hillshade and tinted hillshade as well as analysis. When using world elevation image services for visualization, the service will automatically display data from the best source for a given location, providing a seamless user experience. With this update, Airbus WorldDEM4Ortho will take priority over Shuttle Radar Topography Mission (SRTM) data when rendering visualizations. Covering the earth’s land surface (with the exclusion of Azerbaijan, Ukraine, and the Democratic Republic of the Congo), WorldDEM4Ortho is the most consistent and accurate satellite-based elevation model on a global scale. This dataset, which brings many improvements over areas with SRTM 30-meter coverage and areas above latitudes of 60 degrees north and south, is now available in world elevation layers and tools to all ArcGIS Online subscribers. Esri acquired technology from ClearTerra that will give ArcGIS platform users the ability to easily discover and extract geographic coordinates from unstructured textual data like emails, briefings, and reports, instantly generating intelligent map-based information. LocateXT, from Esri partner ClearTerra, allows analysts to rapidly scan through documents without having to spend hours reading, copying, pasting, and running spreadsheet formulas. It places results instantly into geospatial features. ClearTerra FindFZ technology provides enhanced search capabilities for the ArcGIS platform, incorporating the powerful techniques found in Internet search engines. Esri’s acquisition of ClearTerra technology brings workflow-enhancing capabilities into the ArcGIS platform. Esri now supports the SAP HANA platform as an enterprise geodatabase. Esri and SAP customers will benefit from enhanced performance and scalability as well as full integration of both enterprise and spatial data. Whether on-premises or in the cloud, the Esri geodatabase powered by SAP HANA allows spatial data to be integrated and delivered across organizations and accessed from one place, which lowers administration costs and the total cost of ownership. Customers of SAP and Esri who are running SAP, non-SAP, and Esri solutions will now be able to streamline their IT architecture with one underlying platform powered by SAP HANA. This integration brings location intelligence to enterprise data and applications so businesses become more successful by using spatial analytics and advanced visualization and by embedding geospatial data into core business processes. Esri entered into a collaborative agreement with Alibaba Cloud, the cloud computing arm of the Alibaba Group, that will enable both organizations to deliver enhanced options to customers implementing Esri technology in Alibaba Cloud. Esri president Jack Dangermond said the agreement recognizes successful implementations and the companies’ shared belief that location intelligence in cloud infrastructure is pivotal in addressing customers’ needs and solving real-world problems that require scalable computing, storage, and networking capabilities. Engineers from both companies can now collaborate on initiatives that will deliver the next wave of location intelligence innovation in the cloud. Esri’s sole authorized distributor in Mainland China, Esri China, has a proven track record in helping customers implement Esri technology in Alibaba Cloud. Esri China’s president Francis Ho has witnessed the rapid migration of location intelligence capabilities to cloud infrastructure. Ho believes that this will continue because organizations are rapidly adopting GIS and combining it with the capabilities of cloud technology. “We’ve seen our users achieve amazing results already with Esri technology in Alibaba Cloud,” said Dangermond. The Ningxia Land and Resources Bureau has built its own foundational geospatial data platform using Esri’s ArcGIS Enterprise technology in Alibaba Cloud. Learn more about the Esri capabilities now available to Alibaba Cloud users by visiting go.esri.com/Alibaba-Cloud. ArdentMC was recognized as Partner of the Year for its work in the Federal Small Business Specialty (FSBS) program. 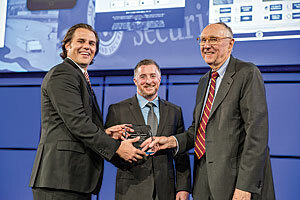 Three Esri partners were honored during the 2018 Esri Federal GIS Conference for their work helping the US government run more efficiently and transparently. The conference was held March 20–21 in Washington, DC. The companies were recognized for their work in the Federal Small Business Specialty (FSBS) program by awards in three different categories. 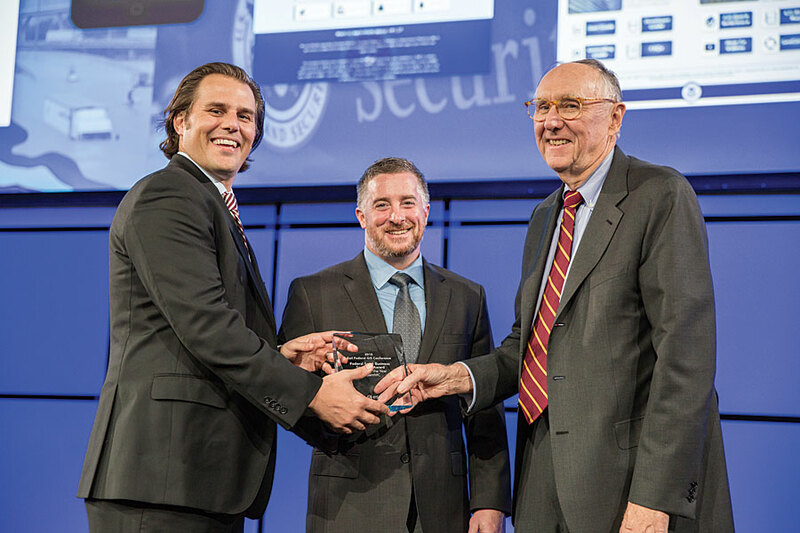 Partner of the Year, ArdentMC, partnered with Esri to develop high-end geospatial mobile and web-based applications for government clients that provide situational awareness for natural and man-made events affecting national security. Innovation Partner Award winner Innovate! Inc. is a Small Business Administration (SBA) 8(a)-certified woman‐ and minority‐owned business that offers spatial data analytics, geospatial application development and integration, and cloud migration capabilities to the federal, state, local, tribal, and private sector markets. Geodynamics, winner of the Collaboration Partner Award, is a woman-owned small business that provides state-of-the-art coastal and ocean mapping and geospatial analysis for engineering and natural resource management to the private, government, and academic sector clients. To learn about the Esri Partner Network, visit esri.com/partners/join-partner-network.